This article analyzes the development of a new type of accountability mechanism that is proliferating in the field of development finance. Organizations operating in this sector have started to adopt social and environmental policies and procedures seeking to address the local impact of financed projects. Several of these organizations have also established Independent Accountability Mechanisms, modeled on the World Bank Inspection Panel, and that have the power to conduct investigations on specific projects to assess policy compliance. These mechanisms receive complaints from individuals adversely affected by projects, thus constituting a new avenue for third parties to gain redress. The mechanisms’ main weakness, however, consists in their lack of coercive powers and their vulnerability to external interference. 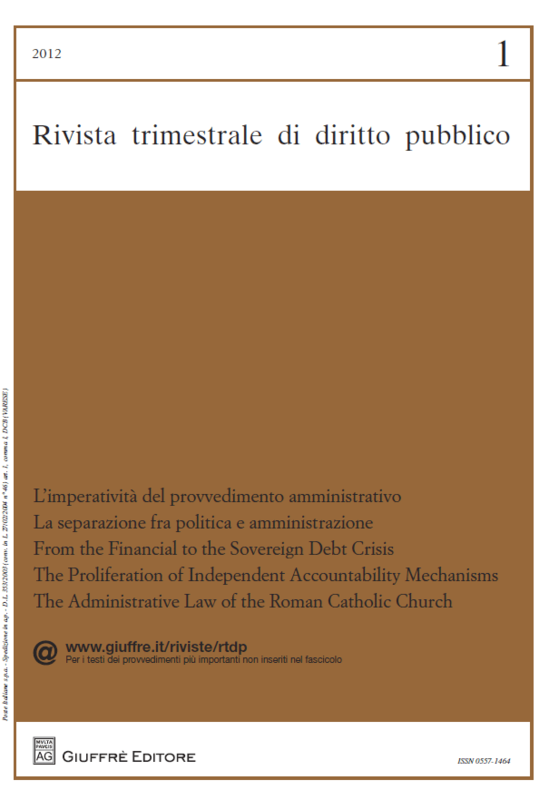 To a certain extent, these mechanisms further administrative law principles such as the right to participate in administrative decisions, transparency, duty to give reasons and proportionality. However, when compared to other systems of review of administrative action, it is clear that they do not amount to fully-fledged judicial remedies, but rather comprise a mix of various functions: dispute settlement (problem-solving), quasi-judicial review of the organization’s activity (compliance review), and a “consultative” function within the organization. However, despite their intrinsic limitations, over the years these mechanisms have evolved, at times succeeding in overcoming some of their original weaknesses, and thus becoming an interesting model for administrative bodies also at national and European levels.